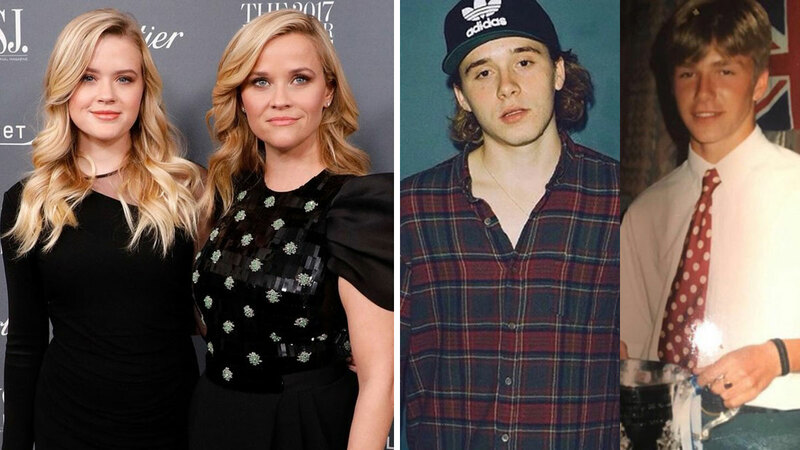 The apple doesn't fall far from these celebrity trees. 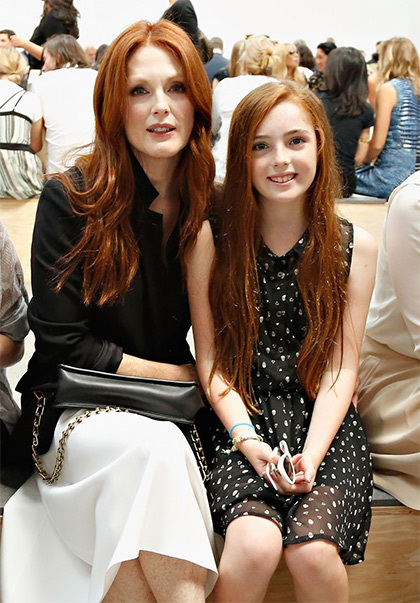 Ever noticed how some celebrities have kids that could basically be their twin? 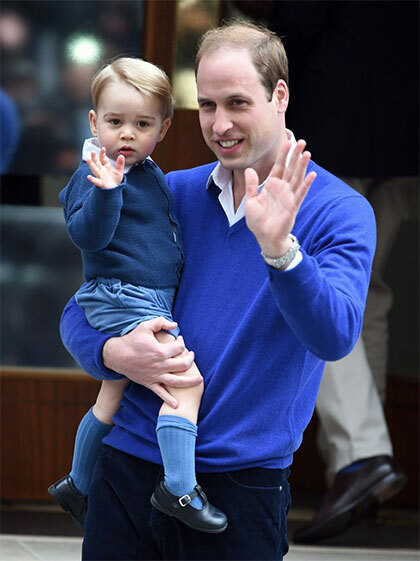 Well, we've rounded up all the showbiz folk with lookalike kids. Check it out! 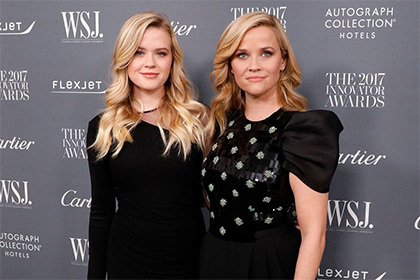 The latest photo of Reese and Ava at the WSJ Magazine 2017 Innovator Awards acted as a major reminder that cloning might be real. 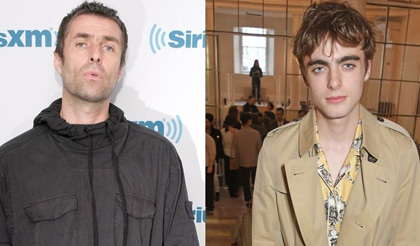 Liam and ex-wife Patsy Kensit's 18-year-old son Lennon is a model, and has been walking the runway for MSGM during London Fashion Week. 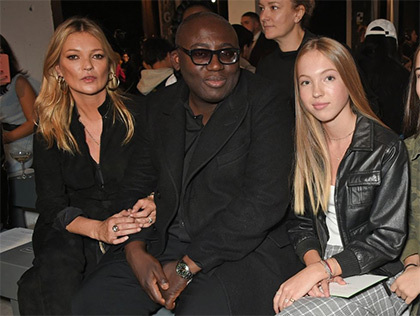 Kate and Lila Grace (photographed at London Fashion Week with British Vogue's editor-in-chief Edward Enninful) look so alike they could quite literally be sisters. The House Of Cards actress took her daughter along to this year's Emmys, and the family resemblance was uncanny. Is it just me, or does Carys look like a perfect mix of Catherine and her dad Michael Douglas? 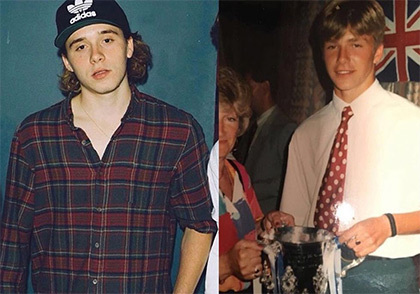 David posted a throwback pic to celebrate his mom's birthday (sorry for the crop, Sandra), and we couldn't help but notice how similar he looked to son Brooklyn. They've got the smize doooown. Yes, he looks most like Brooklyn, but tbh he looks a lot like Cruz and Romeo, too. So Becks gets two slides in this gallery. 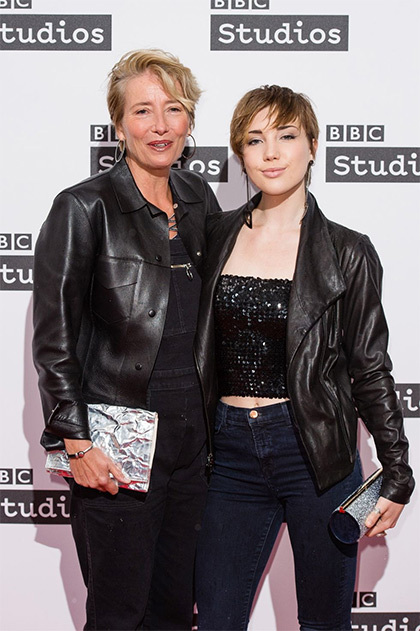 Maybe it's just the matching leathers and cool 'dos, but Emma looks just like her 17-year-old daughter, right? 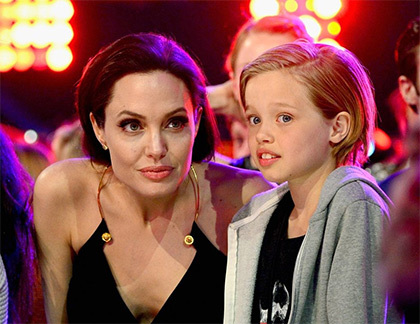 In fairness, Shiloh looks like her dad, Brad Pitt, too. 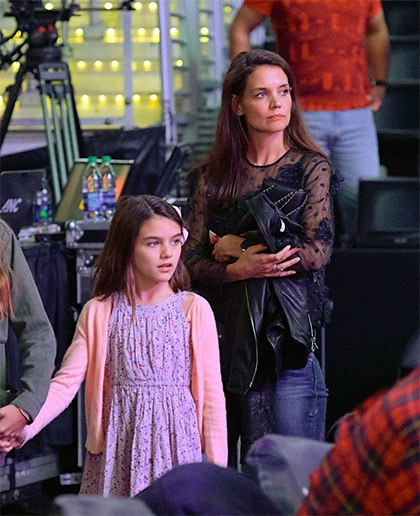 But the unbelievable resemblance between Ange and Shiloh can't be denied. Look at those lips! 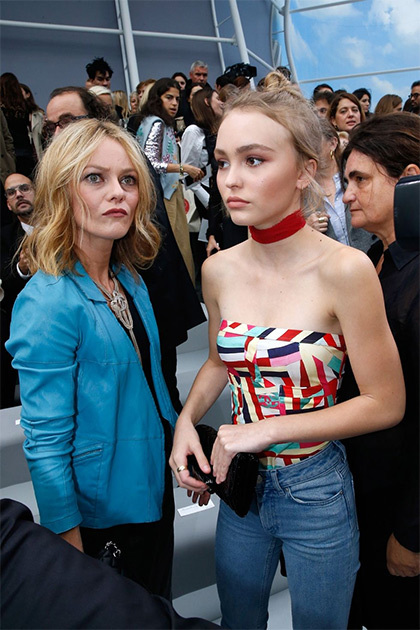 With parents like Vanessa Paradis and Johnny Depp, Lily-Rose had a fairly good shot at being a total stunner. 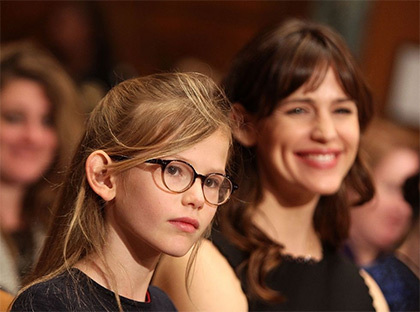 Uma and Ethan Hawke's daughter looks like a mix of both her parents, but her coloring is all Uma. 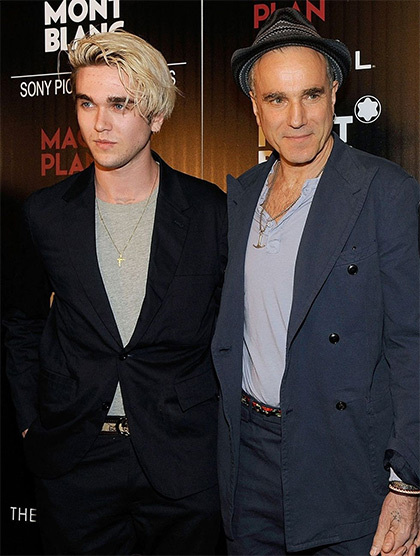 Colin's a successful actor too, so we guess he looks AND acts just like his dad. There's no denying it: these guys could easily be sisters—maybe even twins. Imagine if Jennifer was an 11-year-old girl with glasses. Jerry and Georgia are both babes. Fin. Literal twinsies. Well, not actually "literal." But you know what we mean. This is just cray-cray. 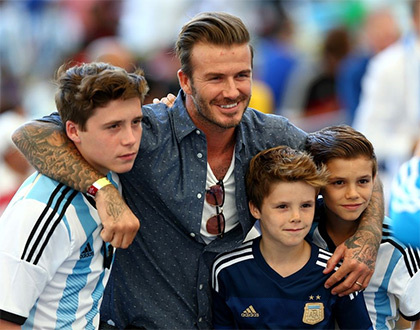 How can this not just be a photo of the same person at different ages?! I mean, obviously all the Kardashians look damn similar, but it's Kendall who looks most like her momager Kris. 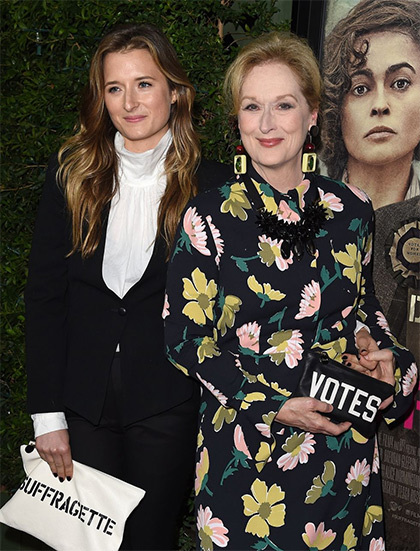 God, what I wouldn't give to be Meryl Streep's daughter. No offense, Mom. Hopefully, Alice doesn't have a potty mouth on her like her mom. Not yet anyway. Have you ever seen The Good, The Bad And The Ugly? 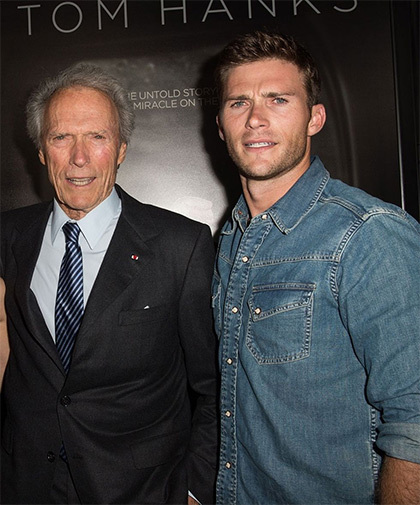 Yeah, Clint was a total babe back in the day, just like Scott is now.